For a number of years now, Lydia Firman, from Bird’s Hill has been a local organizer of the national prayer effort known as Public Square Rosary Crusade. It is an effort by a campaign organization known as Canada Needs Our Lady. Due partially to the location – always being held in a public park in Bird’s Hill – the number of participants wasn’t always very encouraging. 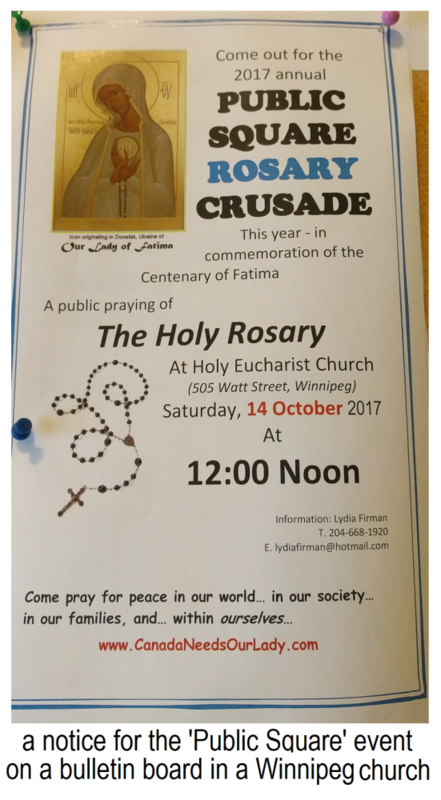 This year Lydia wanted to move the event to the city and she asked her parish priest if it might be held near her parish church in Winnipeg’s East Kildonan as it was near an increasingly more major intersection and there was ample parking space. Of course the parish priest, Fr. Michael Kwiatkowski, agreed and the event took place just outside Holy Eucharist Church at the corner of Watt and Munroe. The crowd was larger, but the real inspiration was the many drivers passing by. 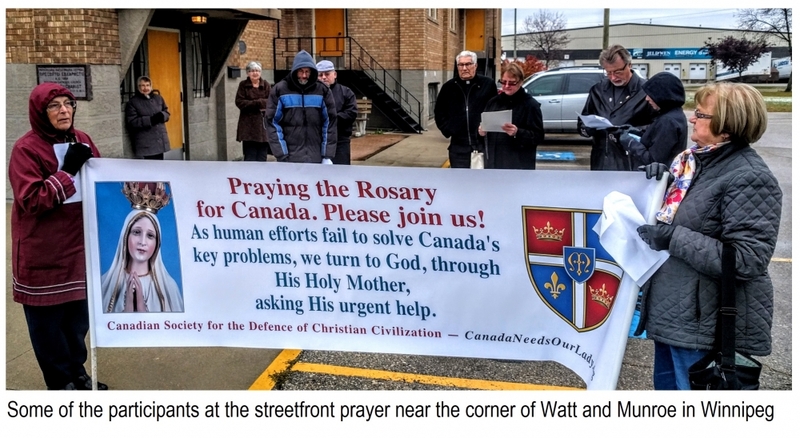 Some waved, some honked, some were visibly moved when they read the sign and understood what was happening, some crossed themselves or pointed to the Rosary hanging from their rear-view mirror, seemingly as a sign that they too pray the Rosary.